Nevada Childhood Cancer Foundation provides more than 45 programs and services at no cost to pediatric and adult patients and their families in Southern Nevada. The goal of the local nonprofit is to improve the quality of life for critically ill children, their families and adults touched by cancer. Further information can be found at www.nvccf.org. Create a Change Now is a nonprofit organization committed to educating and empowering children and their families by providing the resources needed to fight childhood obesity and related diseases, allowing people to live happier, healthier and more productive lives. Further information can be found at www.createachangenow.org. Cox Charities is an employee-funded and managed organization that began in 2007. It has awarded more than $1.7 million in charitable grants to more than 100 diverse nonprofit organizations and agencies that serve children, families, education, STEAM and diversity. To obtain further information or request a Cox Charities grant, visit www.coxcharitieslv.com. 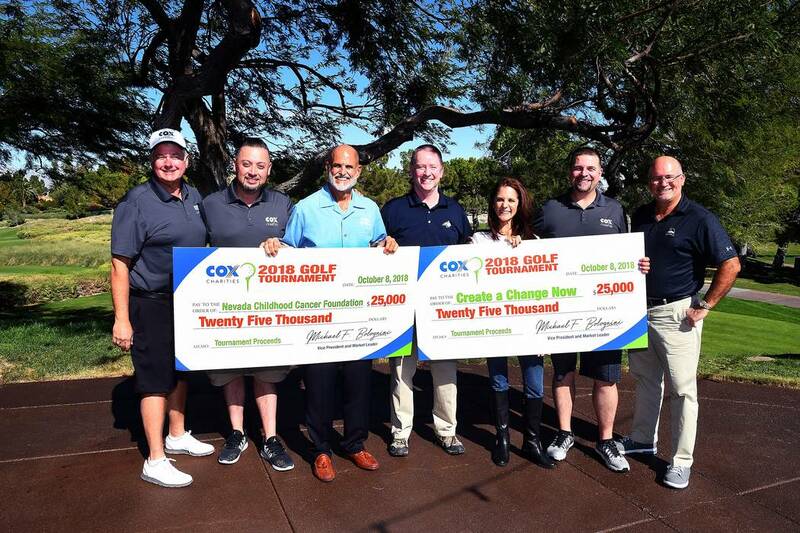 Findlay Automotive Group CFO Tyler Corder praised the partnership with Cox Charities. Findlay Automotive Group, which was the presenting sponsor of the event, was founded in 1961 by the late Pete Findlay. The company is now comprised of 32 automobile dealerships in Nevada, Utah, California, Idaho, Oregon and Arizona with a 33rd dealership, Findlay Mazda, under construction in the Valley Automall in Henderson.